A Buffalo native, Steve represents financial institutions, businesses, insurance companies and individuals in a wide variety of litigated matters in both federal and state courts. His practice focuses on business and commercial litigation, employment litigation, real property litigation, insurance litigation and class action defense. 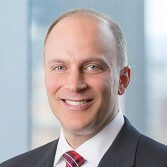 Steve also has experience in litigating professional liability claims and attorney fee disputes. In addition, he regularly represents lenders and other creditors in workout matters and adverse bankruptcy proceedings. Steve also counsels a number of small businesses on corporate and business-related issues. “I have a general litigation practice, which is somewhat unusual today, with a niche in business and commercial disputes. I enjoy my work because much of the time, I’m helping people whose businesses could potentially live or die based on the outcome of the case. It is very rewarding to help them navigate through their difficulties and achieve a resolution that allows them to succeed in their business. I forge a strong connection with my clients."